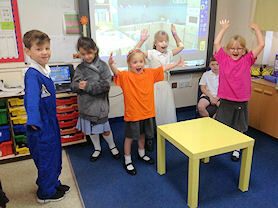 Welcome from the children of Class 2. 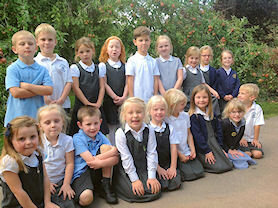 We are a mixed age class of Year 1 and 2 children. Our teachers are Mrs Coleman (Monday to Thursday) and then on Friday we are taught by Mrs Glover. We are also supported by our helpful teaching assistant Mrs Patchett. We follow the new National Curriculum 2014 for all subjects including Maths and English. This year our topics this year will include Homes, the Great Fire of London and the Seaside including the lives of famous explorers. 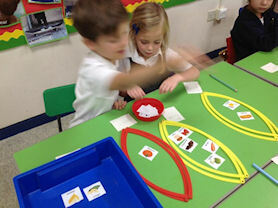 In Class 2 we teach the phonic sounds as outlined in the National Curriculum. We use the Read Write Inc (RWI) scheme to teach the 44 letter sounds. The children learn to say the sound, learn a phrase using the sound, read words with the focus sound and then learn to write and spell words. Alongside the RWI books which we use for guided reading the children also read books from the Oxford Reading Tree scheme and Jelly and Bean books. 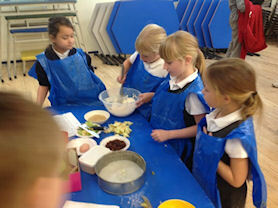 We enjoyed baking to help with writing instructions. 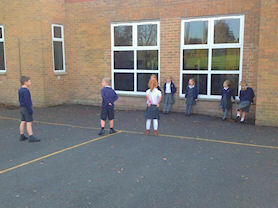 Role play helps us to write stories. 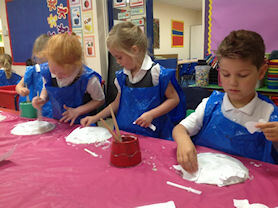 Getting messy with paper mache. 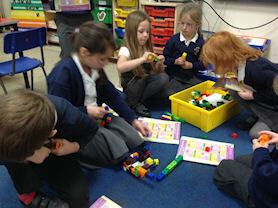 Using cubes to support counting. 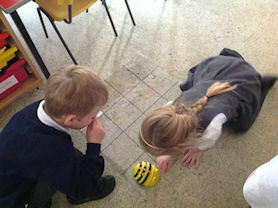 Entering code to move a Beebot. 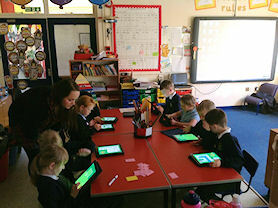 Using iPads helps make learning fun.